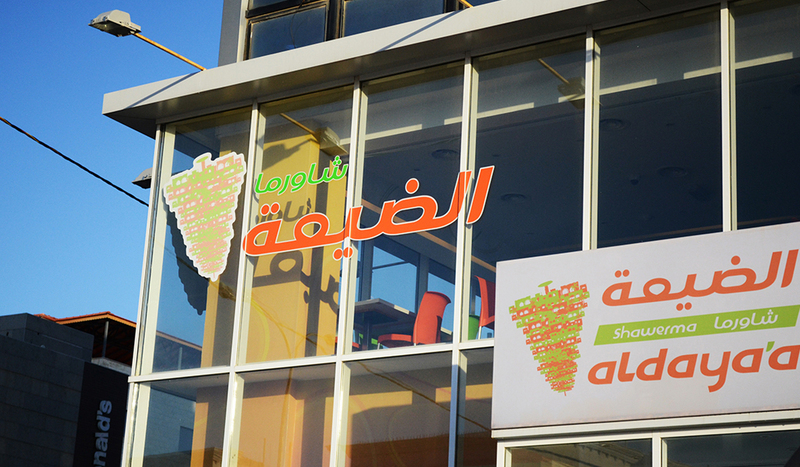 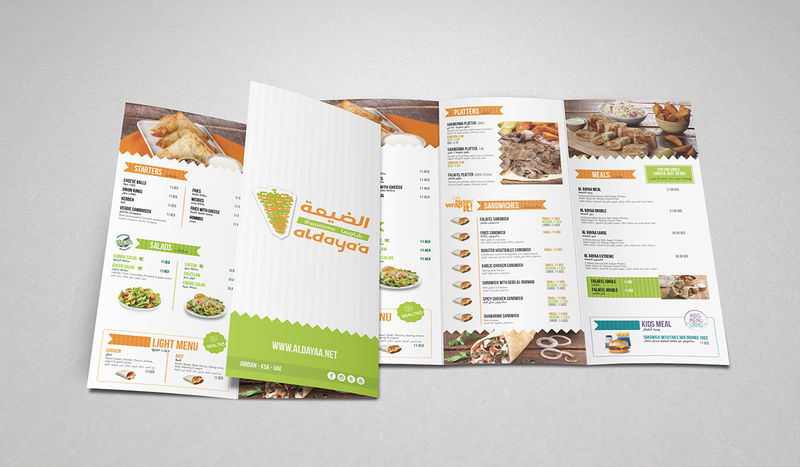 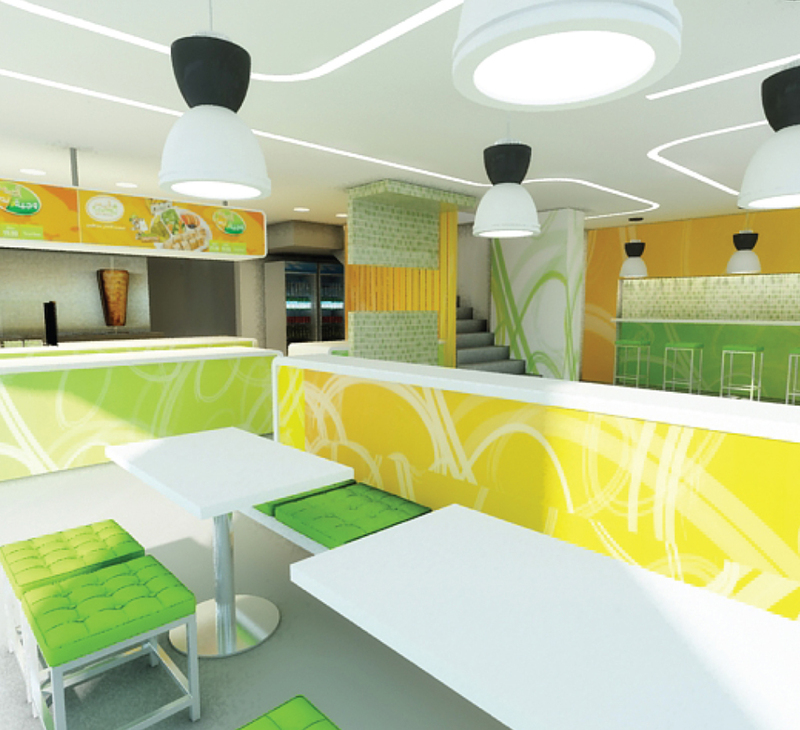 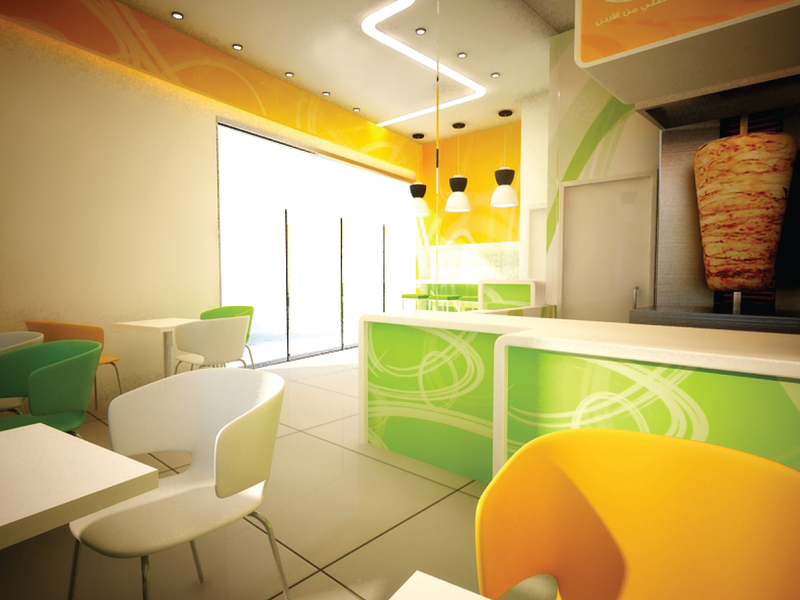 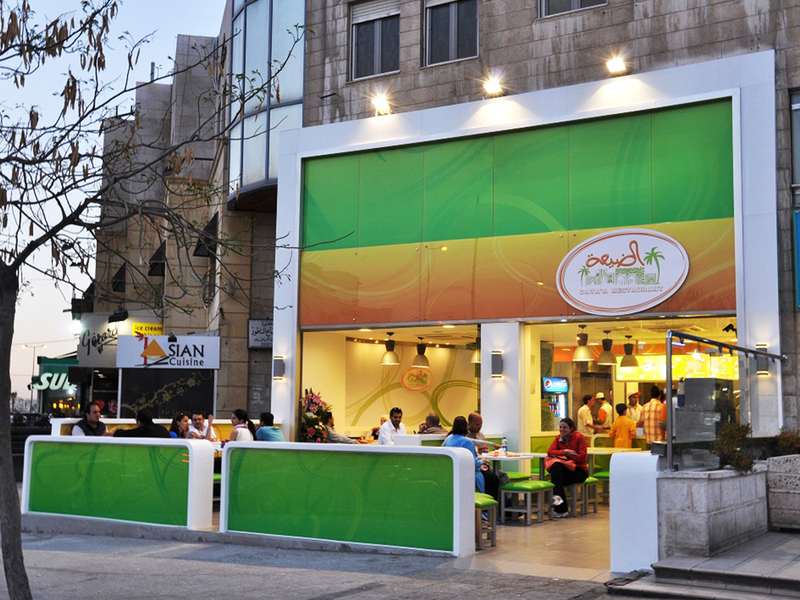 The concept was to create your casual next door shawerma place with a colorful twist. 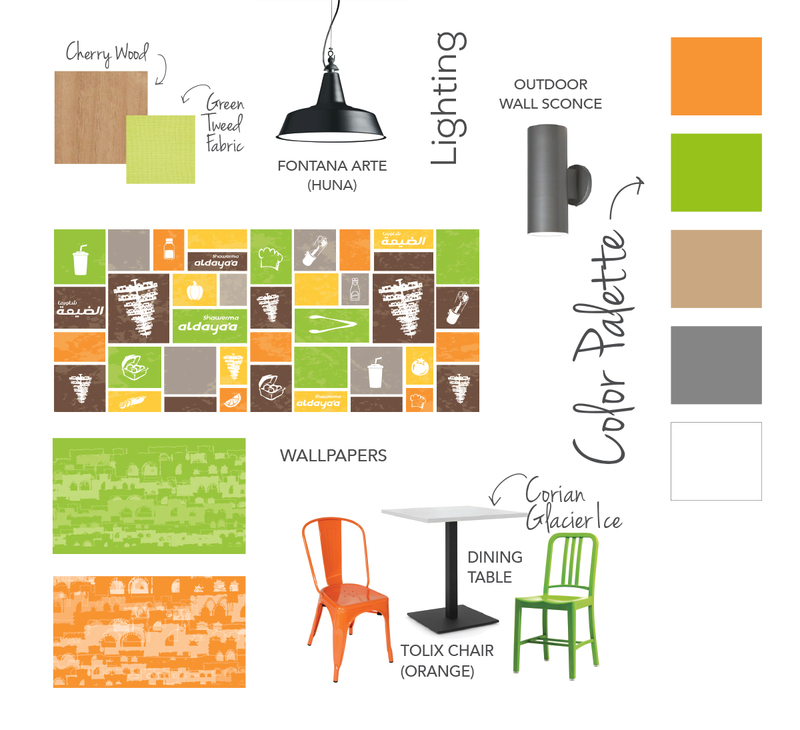 The main materials used were cherry wood as well as bright green & orange to bring life and vividness to the venue. 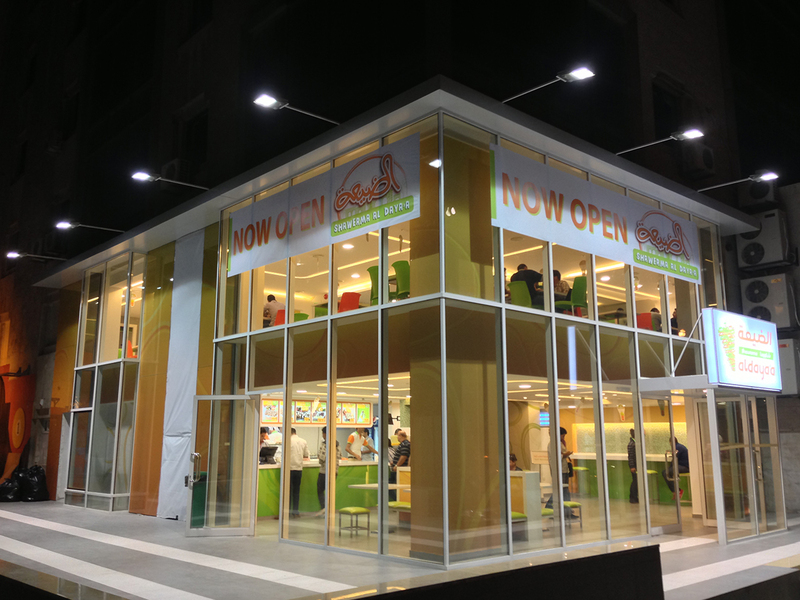 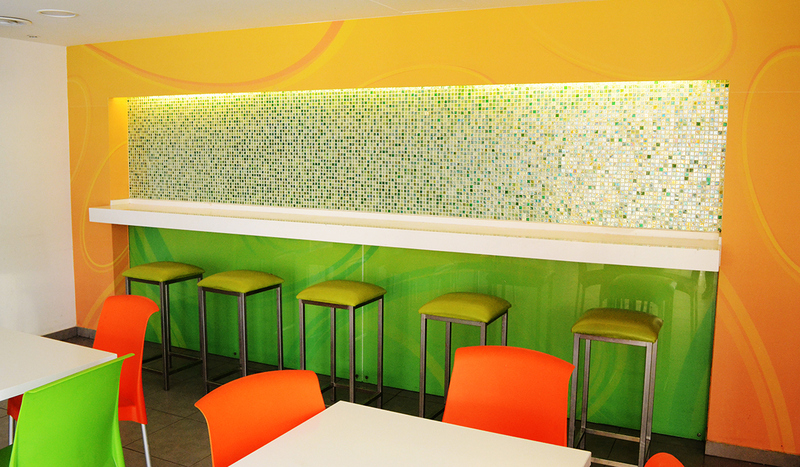 Bright ‘Fontana Arte” lighting elements, corian glossy countertops, and delicious shawarma best describe the project. 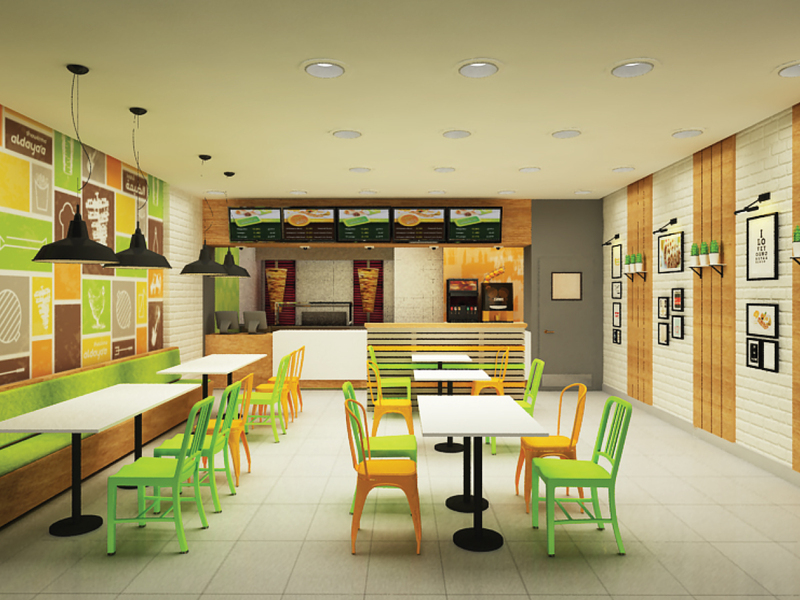 In Addition to the sketchy wallpapers that symbolized the delicious experience that the user was about to go through. 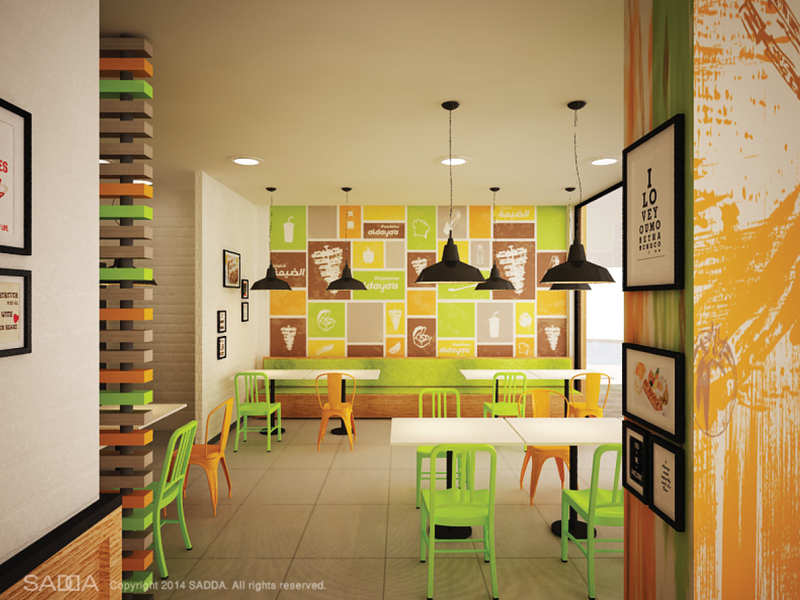 The concept was further asserted with the parallel table lines with Tolix A orange chairs and Emeco Green ones as for the benches, they were of green tweed fabric and helped create the casual look we were seeking.